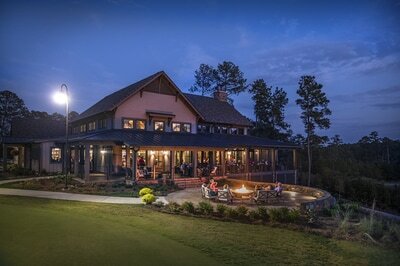 Tucked into the rolling lake country of Georgia between Atlanta and Augusta, is America’s premier lake and golf community- Reynolds Lake Oconee, formerly known as Reynolds Plantation. Here, we make building your dream home easy so you can enjoy our year-round vacation lifestyle. Sample Life’s Essential Pleasures,Sample Life’s Essential Pleasures, Reynolds Style-a range of diverse adventures await– golf on 117 holes by designers Jack Nicklaus, Tom Fazio, Jim Engh, Rees Jones and Bob Cupp; the ultimate in instruction and club fitting at The Reynolds Kingdom of Golf Presented by TaylorMade; boating, fishing, paddle-boarding, kayaking and canoeing from four full-service marinas on 19,000-acre LakeOconee with more than 350 miles of shoreline; hiking, biking and walking through the woods on 21 miles of trails; fitness and wellness centers; six swimming pools, four tennis facilities with 16 courts; 38 active member-organized groups and clubs, and a full calendar of children’s activities and programs. Culturally speaking, Reynolds’ Linger Longer Living Cultural Lifestyle Series presents exhibitions, performances, music and lectures as diverse as the 3,500 members from around the world who are drawn to this three-and- a-half season playground. 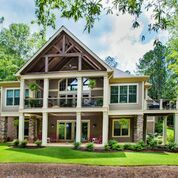 And just outside our gates: an award-winning Charter School, St. Mary’s Good Samaritan Hospital and shopping and dining at Lake Oconee Village, the charming towns, and hamlets of the Georgia Lake Country and the larger citie of Atlanta and Augusta. The Ultimate Setting For An Active Life, Well Lived. 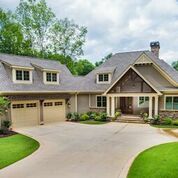 Somewhere among the forests, fairways and fishing coves of Reynolds, your perfect home is waiting to happen. Let us help you find it. Come see our Signature Home Collection, offering twenty tried-and- true plans ready for you to personalize that take most of the mystery out of designing and building your dream home … or let us walk you through our Model Home Center at Mill Creek to help connect your ideal custom home vision with the perfect homesite on which to place it … or even help you find an existing home ready for you to make yours right now. 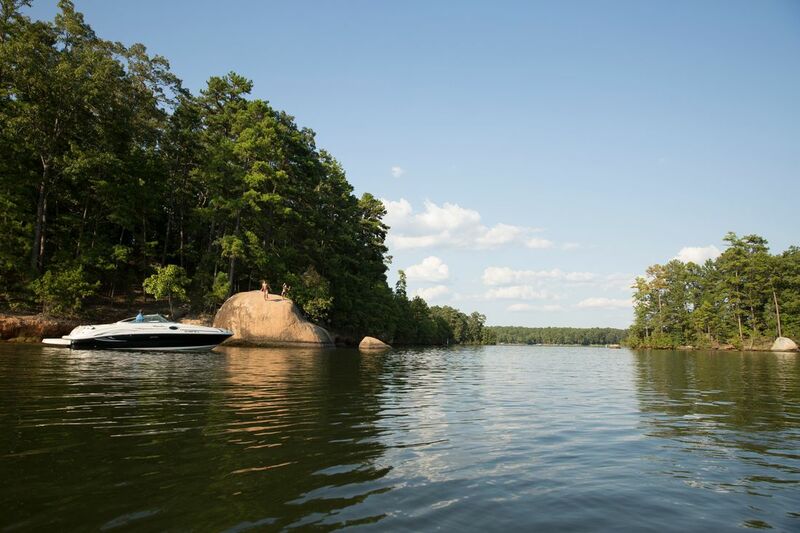 Reynolds Lake Oconee has the perfect weekend getaway, second home or exceptional primary residence for an active life, well lived. Spend the day on the water, sink a 25-foot putt for a birdie, savor the majesty of a splendid natural setting and reconnect with the people who matter most in your life. Come visit us and come home to Reynolds. For Reservations and Pricing Information, contact Reynolds Lake Oconee Properties at (800) 800-5250 or complete the form below. The total price for this get-acquainted Lifestyle Vacation Package for two is just $269 per night. As a vacation, your visit will be memorable. Moreover, you may choose to “linger longer” and make Reynolds a permanent part of your family’s life. Either way, we heartily welcome you. *Substitutions are allowed. If tennis is your game or you’d like the spa instead just let us know. ​Hartsfield-Jackson Atlanta International Airport Is 85 Miles From Reynolds. Hartsfield-Jackson Atlanta International Airport, the busiest airport in the world based on passenger traffic (250,000 passengers on average per day), is an easy expressway drive from Reynolds’ front door. From there you enjoy non-stop service on 2,500 domestic and international flights daily throughout the U.S., Canada, Central and South America, Europe, Asia and Africa. Homesites From Under $100K To $1.5M. Residences From The $300s To $4M+.